Elected officials and prominent figures in Maine's public life mourn the former president and offer words of condolence to his family. Across Maine, former President George H.W. Bush was remembered Saturday as a philanthropist, politician and friend by prominent Mainers who reacted to the news of his death, which came just months after that of his wife, Barbara, following 73 years of marriage. The Bushes, who kept a summer compound in Kennebunkport for generations where marriages and other family celebrations regularly take place, were known for their civic engagement and as good neighbors. “As a Navy aviator in World War II, in Congress, as Director of the Central Intelligence Agency, Vice President, and President, George H.W. Bush consistently and vigorously demonstrated the values that are the anchor of American society,” Collins wrote. Courage, duty, honor, and compassion define our nation and his life. As he encouraged Americans to be a “thousand points of light” through service to others, he shone the brightest. Sen. Angus King also issued a statement Saturday morning, saying, “Former President George H.W. Bush was a statesman and a leader, a man of dedication and dignity who served his nation in the military, in Congress, and in the White House. 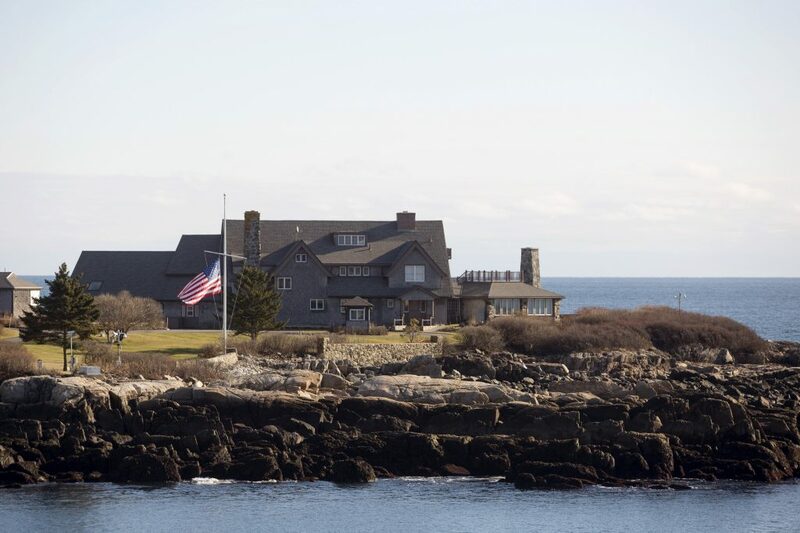 “Throughout his lifetime of service, President Bush left his mark on our entire nation – but his loss will be felt even more acutely in Maine, the home of his beloved Walker’s Point. Gov. Paul LePage described Bush as an “unwavering supporter” of Maine and directed the U.S. and state flags to be flown at half staff for 30 days to honor Bush’s memory. “The diplomacy and decency he brought to the Presidency will forever be valued and remembered. President Bush and his wife, Barbara, treasured their time in Maine and our state takes special pride in how much time they enjoyed here,” she said in her statement. Former U.S. Sen. Olympia Snowe and her husband, former Gov. John R. McKernan Jr., issued a joint statement calling Bush an icon of public service and leader of unwavering strength. In Maine, Rich Petersen, president and chief executive officer of Maine Medical Center, of which the Bushes were major benefactors, said in an interview that the Bushes are a special family.